"Event marketer’s dream come true"
It helps to determine who will attend an event, allowing for pre-event meetings to be scheduled. Sales reps are enabled to set meetings in an easy to use platform, and we can then track their individual performance. It helps the marketing prove ROI for every event, and helping us optimize our investment. It integrates with Salesforce! They have great customer service that is always available to help. This doesn’t integrate into other CRM systems yet. SummitSync allows you to optimize the investment in a large event portfolio, but also track results on an individual level. It also allows you to be more effective at events by knowing who will be there and empowering sales reps to reach out and set meetings in a very simple platform that integrates right into Salesforce. I like how easy the app make it for me to use; For starters, the team is very responsive to all of my needs and questions I have. I also think the foundation the team has built so far and keeps building is going to be something that keeps on getting better. It has also helped with scheduling meetings at event way easier. I would like if it it was easier to share an attendee list easier with my team. Some business problems I have solved with using SummitSync is that it helps me see who is going to be at an event so I can plan effectively before going to a conference. I know who and what to look for, without trying to go through a whole room and not having a set game plan. I like to be organized in my work and thoughts especially with meeting future clients and old clients as well. It has really helped me stayed prepared. My follow up meetings are also a lot more efficient as well. 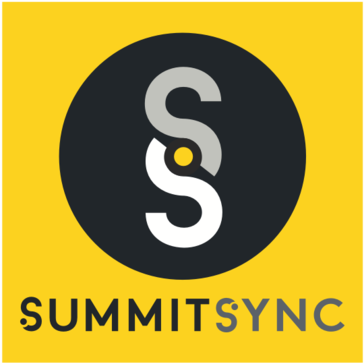 "Been on both ends of SummitSync"
I first interacted with Summit Sync as a prospect scheduling a meeting through one of their 'smart scheduling links' and thought it was such a smart idea. I then went through a demo and didn't realize the platform had all these other capabilities. We're a small team and it adds a ton of value, particularly the predictive attendee lists. They are still adding features that I think would make it a much more useful platform. It helps to better align sales and marketing around the trade shows we do. The teams now very clearly understand who their prospects are and what meetings they've secured versus scrambling around in spreadsheets. "Amazing service; very well done "
"SummitSync Makes Trade Shows Way More Productive"
The best things about SummitSync? The the increased team accountability which helps me allocate internal resources more efficiently, the reduction of back and forth to schedule initial meetings (which has the additional upside of making my reps come across as way more professional and actually help build rapport to close deals), as well as the customer service & support. Although the customer service team is great, the FAQ section and available self help are a little sparse. Don't attend an event without this system in place! SummitSync helps us understand what trade shows and what team members drive revenue - its a valuable tool for my team and I in maximizing growth and measuring ROI from events in a way that wasn't possible before. "Useful product for managing event performance / ROI"
Super useful product for my team. We used to go to lots of events and SummitSync's product was really helpful in understanding who might be at the events (potential attendees) and tracking which of our team members were going to events and then making follow up very easy. We go to lots of events to source deals. Not really any. We stopped using it because we just aren't going to many events this upcoming year and are focused on other initiatives. Already mentioned in 'What I Like Best'. Predicting attendees was useful to evaluate how valuable an event might be for us, and then tracking what events people were going to and making follow up quick/easy/trackable was very useful. "Generating more revenue and sales leads from trade show marketing"
Understanding exactly who my team should be trying to schedule meetings with before a trade show, and help them communicate with the leads to get meetings set on their calendars. When processing data the system can be a little slow but that’s only at the time when I created the account. It seems to have needed the processing cycles to align data. We spend a lot of money on trade shows, but the process for communicating leads is tough. Turning trade shows from a cost center to a revenue generating machine, and one I can synchronize with other systems to prove it. Their scheduling links make it easy to schedule meetings with prospects and they help me understand who is attending every event without having to buy an expensive sponsorship package. The extra steps with multiple person meetings but they’re working on this. Mostly knowing who is going to be at an event so we can set up good quality meetings before. "SummitSync is growing on me"
When looking to make connections I don’t like when marketing makes us use more tools that add little value. However, SummitSync actually does make conferences more efficient and helps communication between sales and marketing before, during, and after the event while saving me a ton of time with manual CRM entries. Sometimes prospects want to select their own meeting space and we have to do it manually. I think SummitSync saves a lot of time not having to input meetings manually into Salesforce. Scheduling. Helps me use my time much more efficiently. My team used SummitSync at SXSW and found enormous value in their predicted lists of attendees. You can target ads to predicted attendees so you can schedule meetings before an event. Especially helpful at a disparate event like SXSW. Sometimes the platform feels a little too “big” for us and you can tell it is designed for bigger teams. Increasing our revenue generated from events by relying on one-to-one meetings. "Sales Accountability At Trade Shows Is Here"
Being able to know exactly how individual team members are performing at every trade show or conference. No real dislikes but see huge opportunities for new features. "Successful Trade Show Start w SS"
I like that the founders have attended hundreds of trade shows themselves so they understand the biggest issues teams face and have built a product around that. They’re also very, very receptive to feedback. The multiple team meeting feature needs a bit of work. Mostly the ROI side of things - before SummitSync we weren’t tracking revenue generated from events at all and now it is done automatically! "Fantastic way to make the most of your Conference Investment (and see the ROI)"
I enjoyed being able to easily discover who of our clients were going to be attending the same event the company was. Initially, not all of the conference attendees were available but that changed as awareness of the platform increased. Understanding what conferences and which sellers were producing the best ROI on my conference has been the most clear benefit of the platform. "Director of Integrated Marketing "
SummitSync's predicted lists of attendees have helped us find the needle in the haystack when it comes to scheduling meetings with hot leads. That the attendee lists aren't currently integrated directly into marketing automation - it's only one step of exporting and re-uploading but would be nice. Generating real revenue from trade shows, conferences, and events. "Makes Meeting Management Way More Efficient"
meetings for an upcoming trade show or not. No option to efficiently mark no show meetings. Operationally, we much more efficiently using a tool like SummitSync so sales and marketing are more aligned. "Best Platform for Trade Show Meetings"
With a big sales and marketing team going to events all over, SummitSync makes it easy to know what they’re doing and when. "Positive experience with solid potential"
The opportunity for networking with the right people. Networking events - work in IT Sales so getting in front of the right people. "Excellent Easy to Use App"
Easy to use and connects me with people. Would like an option for group meetings. Knowing who is going to be at events for better preparations. * We monitor all SummitSync reviews to prevent fraudulent reviews and keep review quality high. We do not post reviews by company employees or direct competitors. Validated reviews require the user to submit a screenshot of the product containing their user ID, in order to verify a user is an actual user of the product. Hi there! Are you looking to implement a solution like SummitSync?